A delicious pumpkin spice smoothie recipe that’s great for your bod (and for using up leftover canned pumpkin). Vegan and gluten-free. Got a little extra canned pumpkin? Use it up and enjoy the flavors of the season while being kind to your bod. Ho ho holy crap has December gotten away from me. We are back in the States for a few weeks, and it’s been one of those times when real life has outpaced and outclassed blogging life. I guess that’s probably “healthy” and “normal” and “anti-psychotic.” Which is all well and good. 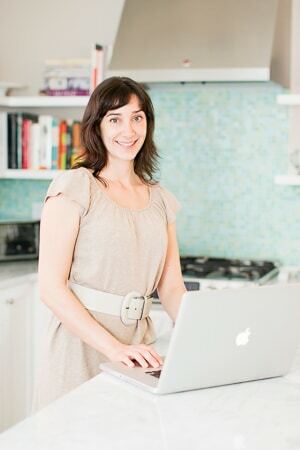 But it is not conducive to writing gift guides and cookie recipes and vegetarian options for holiday dinner parties. More ideas than time, as all the ladies are constantly repinning on Pinterest. So be it. Still, I never even finished sharing those healthy smoothie recipes that ran on Serious Eats a few weeks ago. I’ll post the rest of them in the next little while. Instead of post-Thanksgiving recovery food, then can now be your post-December-holidays recovery food or your superhuman power source for last-minute holiday shopping. 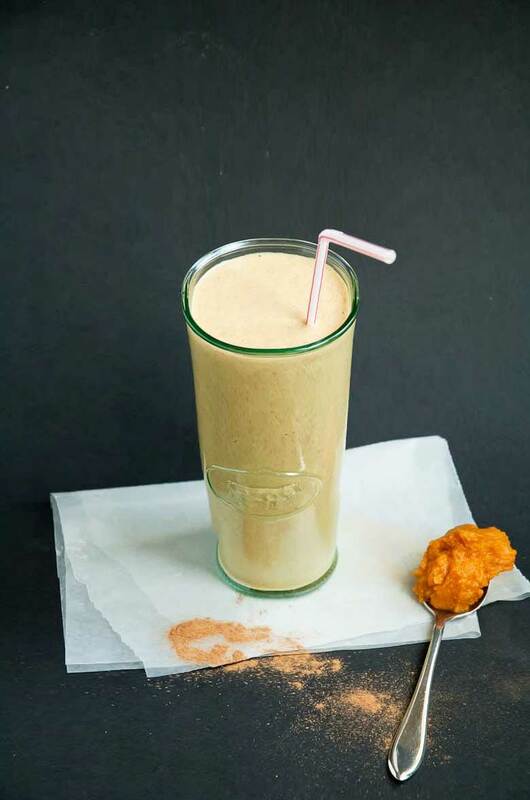 Don’t miss this berserk-delicious pumpkin spice smoothie recipe. It’s just the thing to ensure you’ll be the only smiling, glowing face in the throng at the Macy’s counter when every single item in every single person’s basket is ringing up at the wrong price. Ho ho holy crap indeed. In a post-Thanksgiving food coma, it can be tempting to give up on pumpkin altogether for a while. But that would be a shame, because pumpkin has so much to offer in both the flavor and nutrition departments. 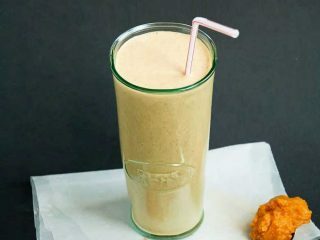 This healthy smoothie hits all the right flavor notes for a pumpkin dessert, but it hits them lightly. It's a nice way to carry on with the spirit of the season while being good to your body. Combine all ingredients in blender and puree until perfectly smooth.